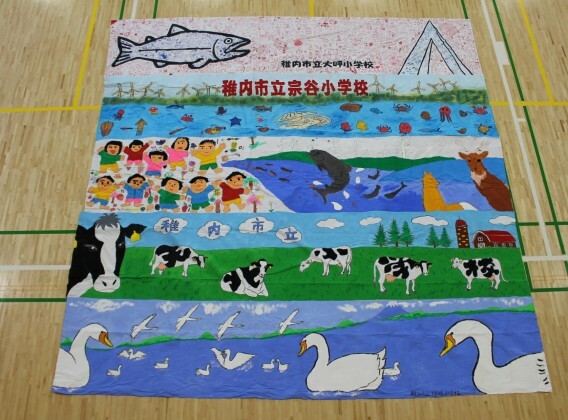 by sewing together the paintings by the children in the world. This is how the project started. wanted to give them a drawing experience. which were sewn together by 1,000 mothers to create a 100m x 100m painting. 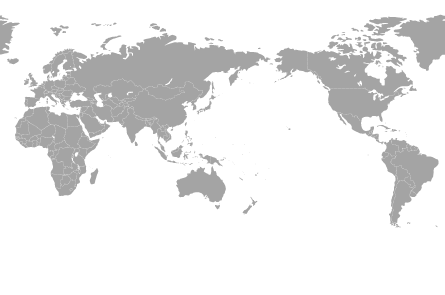 in Japan and in many countries in the world. and to foster momentum to preserve the beautiful environment of Planet Earth. 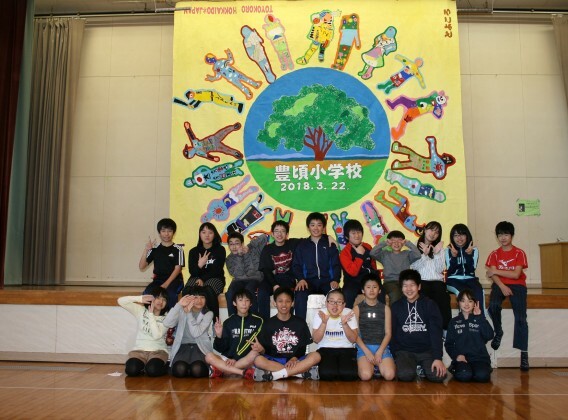 Children we will continue to draw a picture together. In Japan of around a lot of children have me draw a picture. In March 2013, in Sendai, Miyagi Prefecture. In March 2015, in Kyoto Prefecture Kameoka. To children in various countries of the world, and I have been asked to draw a picture. March 2009, show off in front of at Kathmandu, Nepal is a world heritage Boudhanath Stupa (pagoda). Picture children drew will let mothers Awa connects. 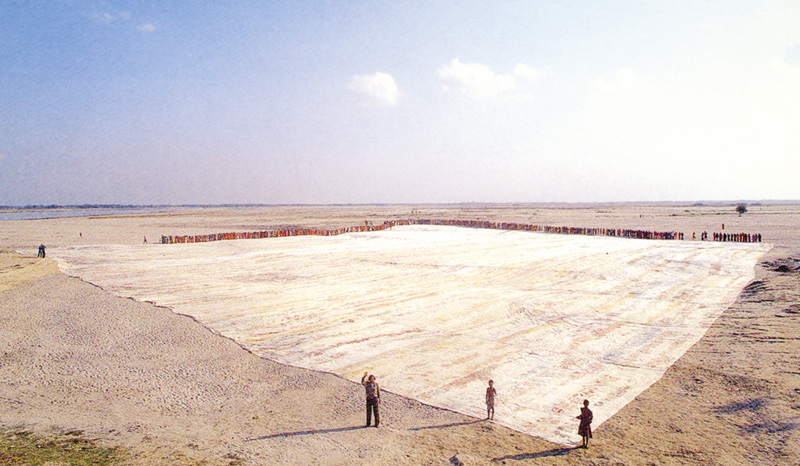 December 1996, 1000 people of mom of Bangladesh was sewn. Every year since 2013, and held an exhibition at the Haneda Airport Terminal 1 "Sky Gallery". By completing a single picture with everyone, and share a common joy, and fosters the sentiment. 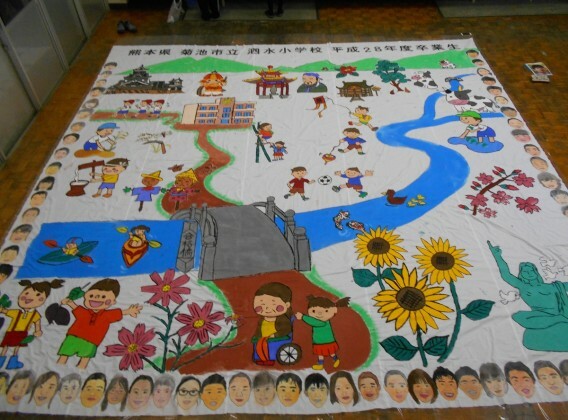 Showcase connecting Myanmar children's painting and Japanese children's picture. 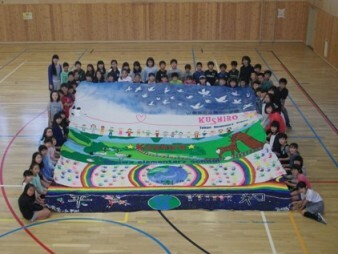 July 2012, stitching and painting of the world's countries 68 picture of each city of Japan in Hiroshima Municipal Funakoshi kindergarten, Hiroshima Municipal Funakoshi was completed in the schoolyard of the elementary school “world's big picture 2012” showcase. 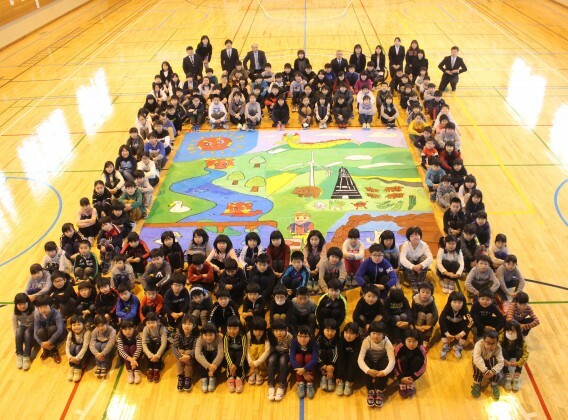 Our aim is to complete the Biggest Painting in the World toward the year 2020. 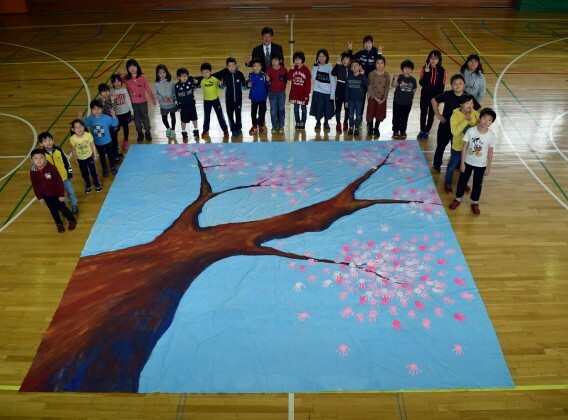 “The Biggest Painting in the World 2020” has started. when Tokyo Olympic Games will be held. as a gift for the future children. This site was created to introduce the project to as many people as possible. look at the paintings by children.